All of my faceted melee gemstones are 2mm across, and are graded good/very good quality by my dealer. These stones are hand-picked for me here in Vancouver. 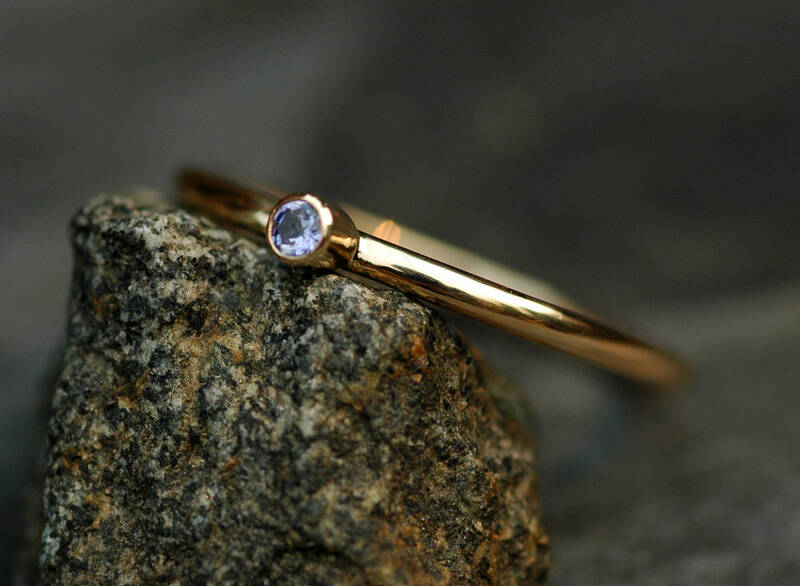 This solid 14k gold ring is set with a lovely purple-blue tanzanite, and has been given a high shine polish. It ships from Vancouver, Canada. All of my gold is recycled at the smelter. 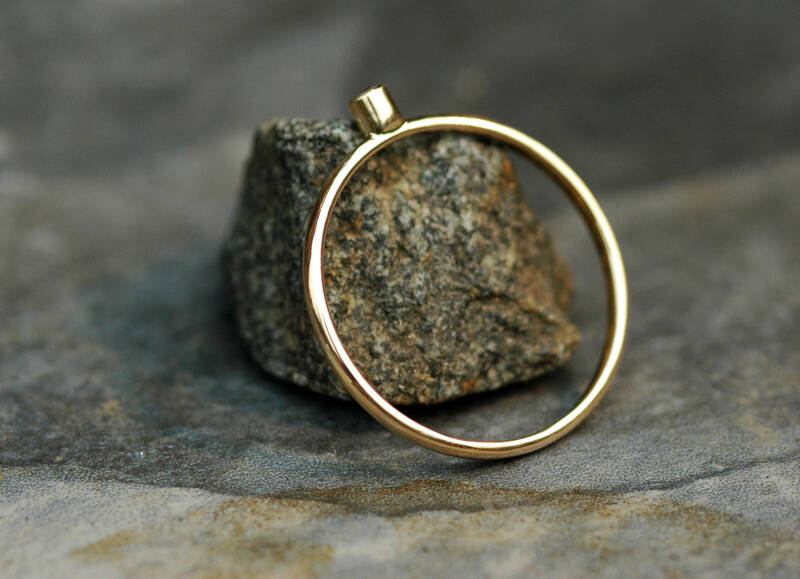 The band on this ring is a round-profile 1.45 mm wide. The stone is bezel set. 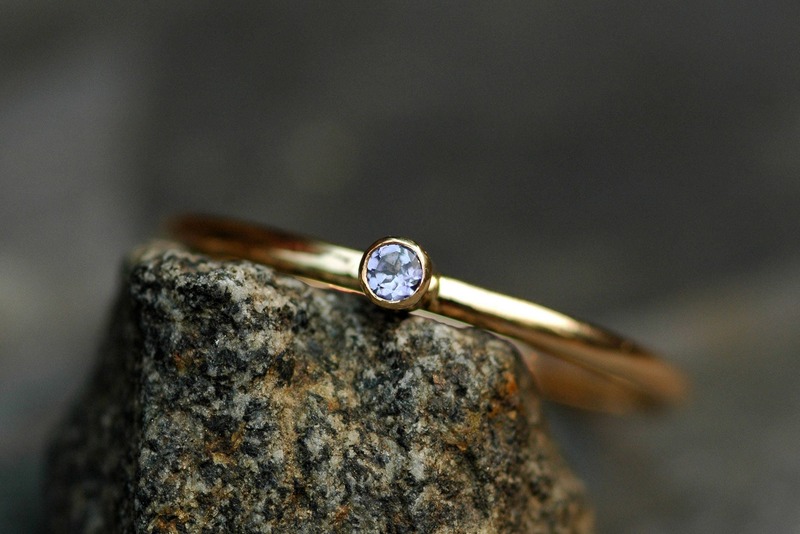 This ring can be built in white gold, or yellow gold. 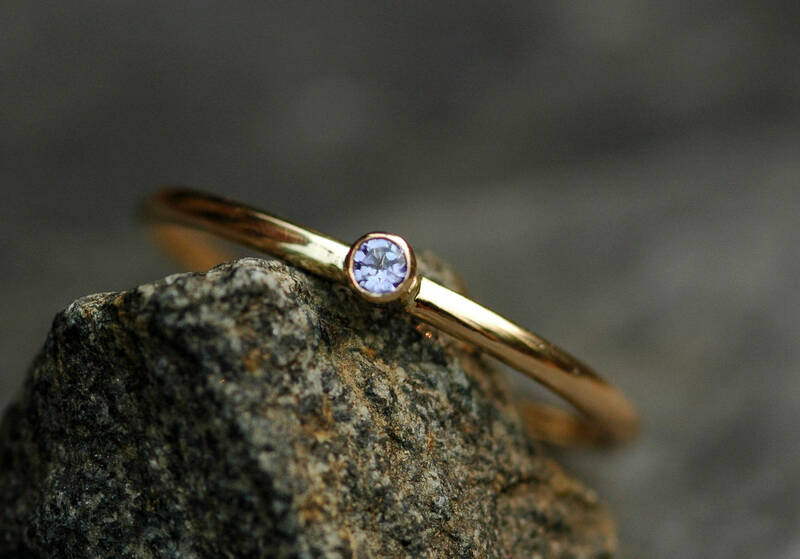 I can also build the ring in rose gold. The band can be textured given a hammered-shiny texture, I hammered-matte texture, a high-shine texture, or a matte/brushed texture.